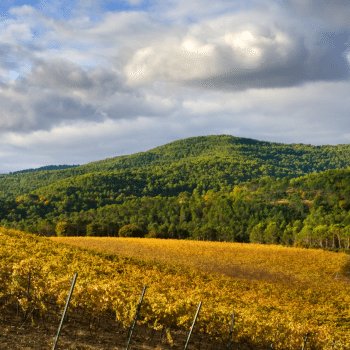 Spain’s Navarra DO has officially brought its 2016 harvest to a close, with the general manager of the Consejo Regulador Navarra predicting an “excellent” 2016 vintage. Neighbour to Rioja, the region of Navarra in northern Spain extends from the central Pyrenees in the north to the Ebro Valley to the south. Since the 1980s, when it was more commonly associated with rosé wine made from Garnacha, the region has been successful in making a name for itself outside of its domestic markets, and is now known for its production of modern, keenly-priced wines thanks to vast improvements in winemaking technology and innovation in the region. Because it is less well-known than its closest neighbour, Rioja, wines from Navarra tend to be good value. Split into five regions, Navarra is home to around 11,000 hectares of vineyards, with grapes typical of the region including Garnacha, Chardonnay, Tempranillo, Cabernet Sauvignon and Merlot. This year, around 83 million kilos of grapes were harvested – slight decrease on the previous year – with Ribera Alta producing 39% of the total grape harvest, Ribera Baja 28%, the Lower Mountains 17%, and Tierra Estella and Valdizarbe the remaining 8%. Of the grapes harvests, 89% were red and 11% white. With the 2016 harvest now complete Jordi Vidal, general manager of the Consejo Regulador Navarra, believes it to be a promising vintage. “The sanitary condition of the grapes is excellent we means that we are destined to have a great year in 2016 and this is down to the hard work of 2,244 wine growers and 96 wineries that make up the DO Navarra,” he said. For our pick of 11 benchmark wines from Navarra, following a masterclass hosted by the drinks business earlier this year, click here.